The team at Boclair House Hotel are on the search for a local hero. The venue in Bearsden, Glasgow needs help to switch on the 3,500 lights of their massive 40ft Christmas tree. And we’re looking for nominations of local heroes. They could be children or adults, members of your family, friends or acquaintances. They might be making a difference, going over and above to help others, or perhaps you know someone who deserves a little joy in their life. For the second year running Boclair House Hotel is holding this event. Last year they had three little heroes switching on their Christmas tree lights. They were 11-year-old Katie Fawcett from Boclair Academy, and four-year-old Orlaith Thompson with her six-year-old sister Niamh, from Killermont Nursery and Killermont Primary School. The Boclair Christmas tree light up will take place on Saturday 17th November. It’s aimed at bringing together the local community and there are lots of ways for people to join in. Families can buy tickets for lunch in the hotel’s grand ballroom, which will include a visit from Santa, and a gift for children. For a slightly more decadent experience, couples or groups of friends can buy tickets for a champagne lunch in Annabel’s Restaurant. 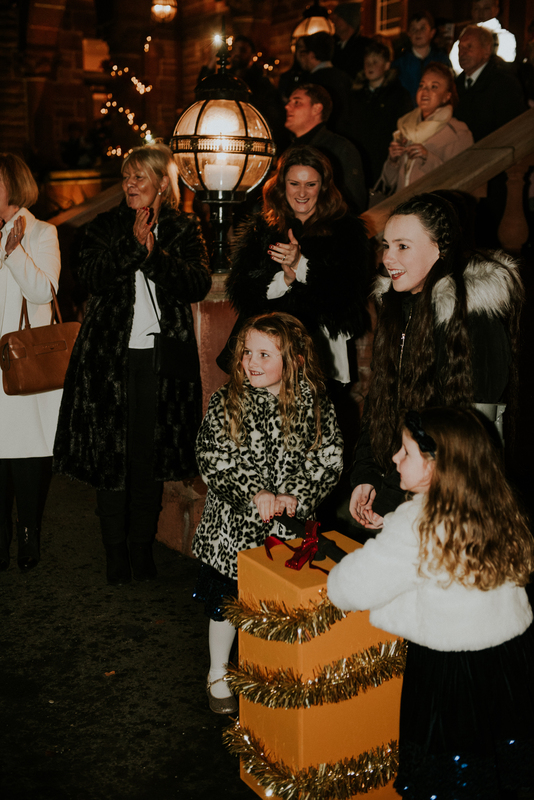 After a scrumptious lunch, drinks, and a visit from Santa, guests can take up their places under the hotel’s famed loggia arches and be in prime position to watch the Christmas tree switch on, which will take place around 5.30pm. More casual visitors can also enjoy the event. There will be stalls set up outside to serve hot drinks and food. Meanwhile outside there will be a choir and carol singing. All that is needed to complete Boclair’s perfect Christmas is a local hero. Please send your nominations to events@boclairhousehotel.co.uk before Monday 12th November including a brief description of why your nominee is your local hero. Andrew McIvor, General Manager, Boclair House Hotel said, “This is a particularly fitting event for us, as our iconic building has always been a huge focal point in the area. We want to bring people in our community together and we hope lots of people will come out and celebrate with us. I’m particularly looking forward to hearing about local heroes as I know there will be many out there”.